What the blurb says: “It was crazy really, she had never met the woman, had no idea of her real name but she thought of her as a friend. Or, at least, the closest thing she had to a friend in Dublin. Struggling with a new baby, Yvonne turns to netmammy, an online forum for mothers, for support. Drawn into a world of new friends, she spends increasing amounts of time online and volunteers more and more information about herself. Feeling out of her depth and isolated at home with her new baby, the netmammy online forum is a lifeline for Yvonne. On the forum she connects and becomes friends with other mums, sharing secrets and worries – things they’d never tell their families or admit to real world friends – and getting advice and support. But when one of her closer ‘friends’ disappears, and a woman matching her description is found dead, Yvonne starts to suspect that there may be something more sinister going on and tries to find out the true identity of the person she only knows as MyBabba. Meanwhile, Sergeant Claire Boyle is grappling with own pregnancy. Her husband, Matt, wants her to slow down, but she’s determined to find the killer of the murdered young woman before she goes on maternity leave. But the case takes her out of her comfort zone, both physically and online, and forces her to confront her own fears as the danger gets closer than she’d ever have imagined. She’s a courageous, determined and resourceful investigator, and a very human character – trying to balance her personal relationships and her career ambitions, and not always managing too, to the detriment of her own health. This fast-paced psychological thriller is a real page-turner of a read. The online forum interactions interspersed into the narrative are unusual and intriguing, and it’s very easy to see how Yvonne quickly becomes immersed into the online netmammy world. The story shows a shadowy side to social media and how the information we share about ourselves online can be used against us to devastating effect. 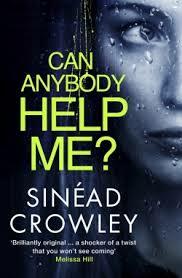 Recommended for fans of psychological thrillers and police procedurals alike.